Five MAE students are among a group of twenty-six NCSU students participating in a 2017 Summer Study Abroad Program at Zhejiang University in Hangzhou China. The 6 week program offers courses in Principles of Electrical Engineering, International Relations, Geographies of Energy, and Mandarin language. While abroad, each student selects two of these courses and experiences a rich array of cultural immersion activities. 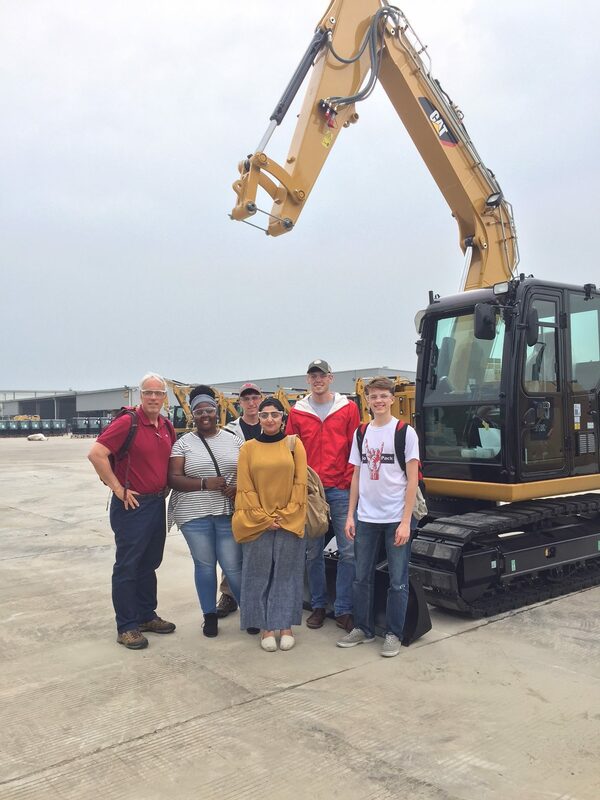 Yesterday, the students taking the engineering course visited the Caterpillar Manufacturing Facility in Wujiang where mini hydraulic excavator machines are made. 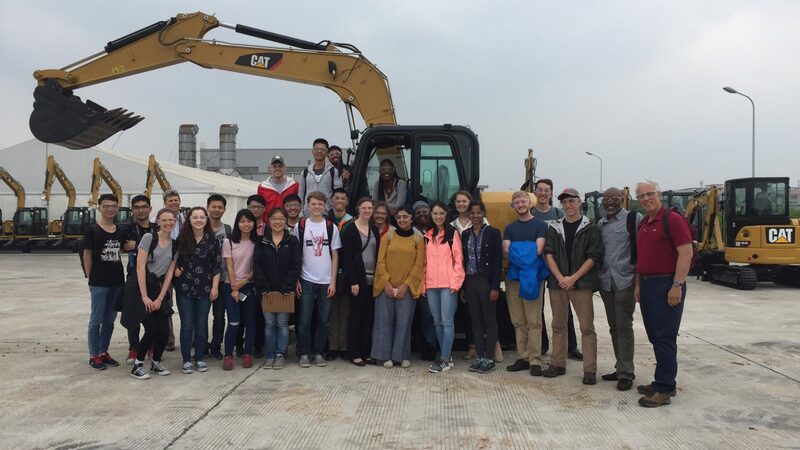 Pictured above is the student group along with their Chinese counterparts, and NCSU faculty: Jeffrey Eischen (MAE), Laura Bottomley (ECE) Clifford Griffin (Political Science), and Lisa Marshall (NE).